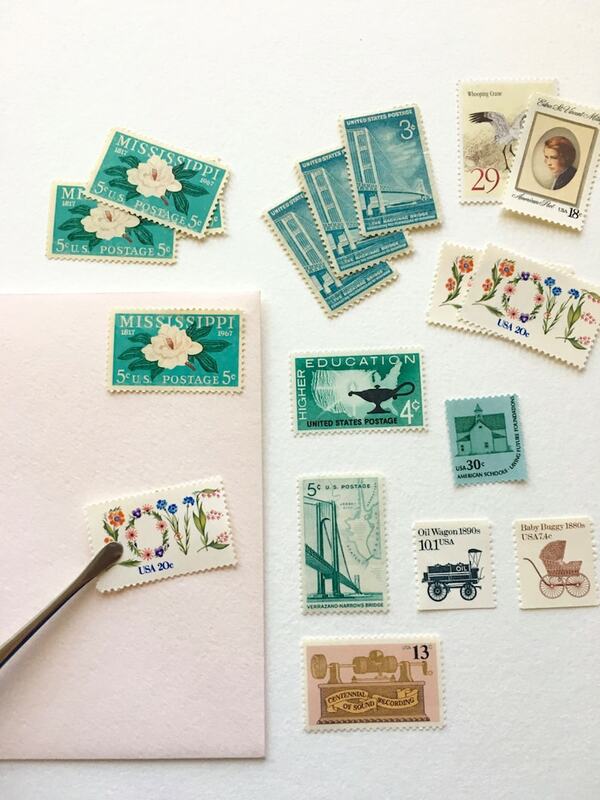 Curate your own set of vintage postage stamps - all unused mint stamps - ready to be used for invitations, letters or keepsakes. This is a great option for styled photo shoots, for one or two special letters, or a just perfect stamp collection. - you can choose any stamps from my entire current inventory. Put together exactly the collection that you want. Once you have purchased the listing. Please send me a complete list of the stamps that you wish to have included in your custom set. Please include the item number and a word or two that describes the stamps that you have chosen. You may put this list in the notes section of your order or send it in a separate email. If it is easier you may also send me a screen shot of the stamps you would like - whatever works best for you. Also, please be mindful and do not request more than 2/3 of any one stamp - if you need multiples, please purchase in packs. Thank you so much. If you need an amount different than what is listed, feel free to contact me. 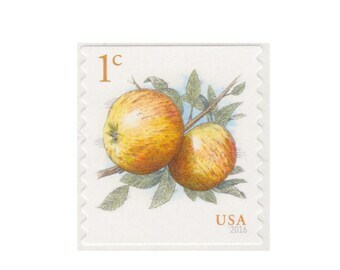 I will be happy to accommodate your specific request for any order over 10 stamps. I have added an option - "10 Stamps/Cover Set" for those who are interested in a set that is similar to the cover picture. This set does not require a list. 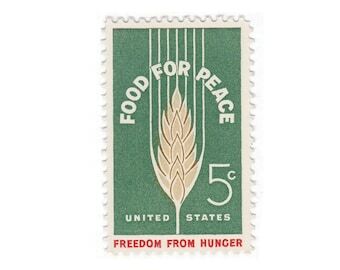 I will choose 10 stamps for you similar to this picture. It has been a enough of a request that I decided to add it as an option. Feel free to choose it and make modifications. All stamps from Vintage Postage Shop are guaranteed authentic. I select and sell only the best quality vintage stamps. All postage stamps are guaranteed unused and in excellent condition with original adhesive intact. Each set of stamps will be shipped in a glassine envelope for archival storage. They will be packed with a backer card and plastic sleeve for protection from the elements. Have your stamps gift wrapped and shipped straight to your special someone! Beautiful stamps! Came on time, in perfect condition. Love how you can curate your own set. Stunning. Beautiful and well packaged. Will update with professional photos after the wedding. Beautiful stamps and packed with loving care. Great shop. This seller was so easy to work with, and my stamps were packaged beautifully and perfectly!! Accept credit cards, gift cards, paypal and if you are local - cash. I always guarantee my stamps. If you are not completely satisfied - please return your order within 14 days and I will refund money less all shipping costs. I do ask that you contact me first to see if I can resolve the issue. If it is my mistake - I will pay for the shipping expense as well. IF YOU NEED YOUR ORDER TIMELY PLEASE UPGRADE YOUR SERVICE TO PRIORITY MAIL. I WILL PROCESS YOUR ORDER QUICKLY BUT I CANNOT GUARANTEE DELIVERY ONCE IT LEAVES MY STUDIO. PAYING FOR TRACKING CAN BE INVALUABLE IF YOU NEED YOUR ORDER WITHIN A CERTAIN TIMEFRAME. All packages are insured by the USPS up to $100. If you would like additional insurance on your order, please message me so that we can add that to your shipping. Please note that orders typically ship within 1 to 2 days during the week. Due to high volume, some orders may take up to three or more days to process. Large orders may take a few extra days to prepare and process. If you need your package quickly, please send me a note so I know that it is time sensitive. If you need a package mailed Express Overnight, and mailed the same day as your order, please contact me prior to placing the order. I will do the best I can to accommodate your requests. I am typically in the studio packing orders and updating inventory Monday-Friday 8am-2pm cst. I can be reached via etsy message or email during this time for questions. Feel free to send me messages outside of this time frame, I will answer as soon as I can! I am currently booked for the 2019 wedding season for custom work. Thanks so much for your interest. If a spot opens up I will post a mention on instagram. Be sure to follow me there @vintagepostageshop. Can the stamps from Vintage Postage Shop be used for regular postage? Absolutely! All the stamps I sell, unless otherwise marked, are perfect for mailing a letter, invitation, a package or any other item through the United States Postal Service. Just make sure you use enough stamps to add up to the postage requirements for your particular letter. Currently the only item currently sell that cannot be used for postage is the World Wide Set of Stamps. They are previously "used/cancelled" and should only be purchased for art, scrapbooking, styling, collecting, etc. How can I tell if a stamp is new or used? A stamp that has been previously used has a cancellation mark on the front. It is typically any type of black marking but sometimes has a date and city of origin. It can be the tiniest of black marks on a corner of a stamp. A new stamp will be clean and free of marks of any kind. All stamps from Vintage Postage Shop are not only unused but in perfect mint condition. This means they are in excellent, like new condition, have the original adhesive on the back and are free from strong odors. I seek out only the finest stamps available. How do I attached my vintage stamps once I received them? 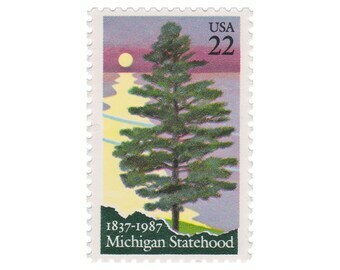 Most stamps created prior to the mid-90s have a water activated adhesive. This means they were made to lick-and-stick. While some of these stamps still will work this way - they have probably passed through many hands over the years. I like to use a basic glue stick. I work on scrap paper applying a thin coat of glue working from the center to each corner - one stamp at a time. This will guarantee your stamps will stay on your envelopes through the mailing process. Many stamps from the late 90s only have a self-adhesive backing. I find this backing still works great and does not require any additional glue. I have currently disabled international shipping due to a higher volume of lost orders. If you have an order you would like to place and are willing to pay for tracking please contact me directly and I will work with you on setting up shipping for your country.